As I have celiac disease I was interested to read this book. It's great to see a book for kids on the subject. Whilst I wasn't too keen on the idea that the character, Beckmin, was singled out so much for having celiac disease (I'm not sure kids would like the idea), I did like the positive attitude he showed about it. More than teaching kids about celiac disease I think this book carries a message for parents and teachers. It clearly shows the attention of the adults towards the child and teaches that how they deal with it will have an effect on how the child deals with it. I also liked that at the end of the book it had a very brief, simple description of what celiac disease is. Two thumbs up for raising awareness on the topic. 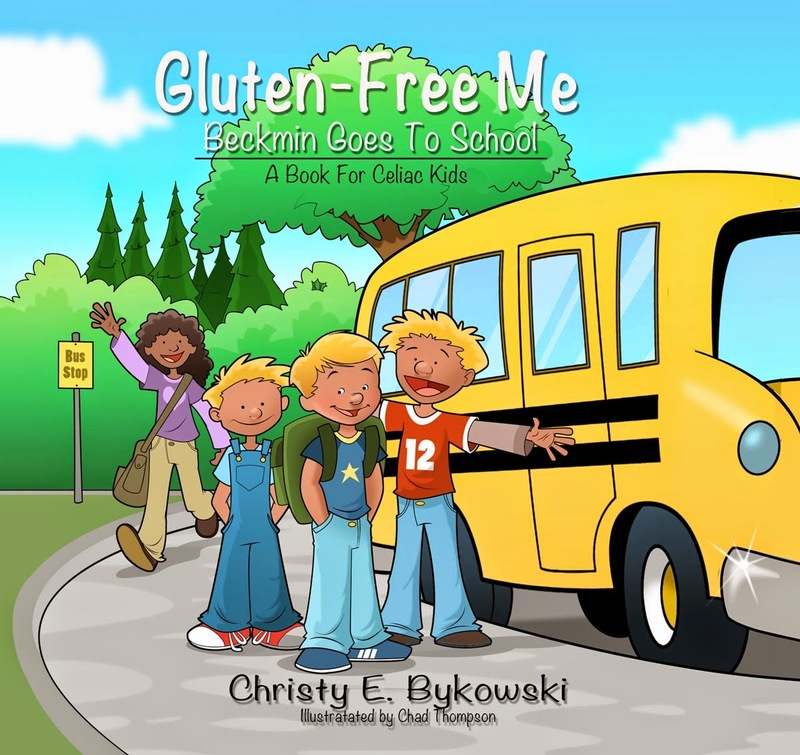 If your child has celiac disease, or if your child has friends with celiac disease, this book could be a useful tool in helping the children understand what it's all about. I also think it would be a good book to have in classrooms to help spread awareness.